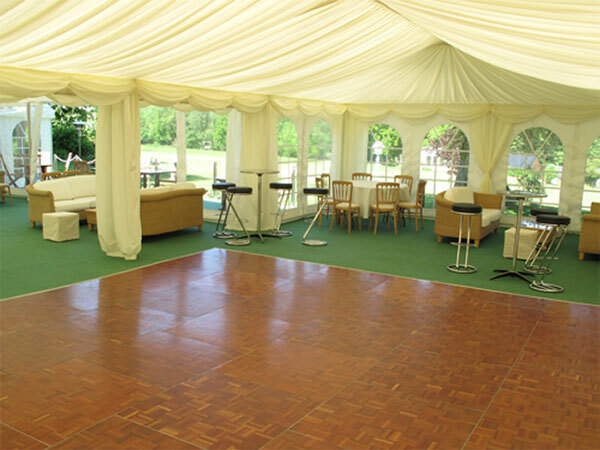 Dance floors are available in a variety of sizes, shapes and styles including classic parquet, black and white checkerboard style or plain classic black. 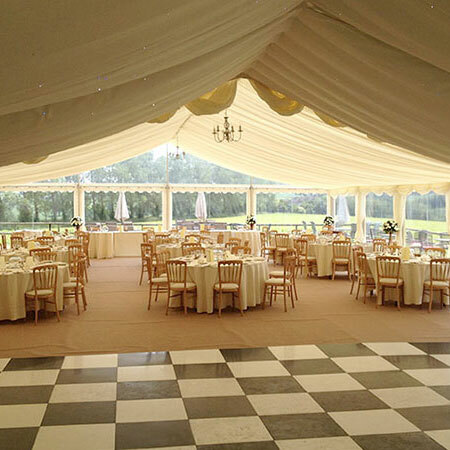 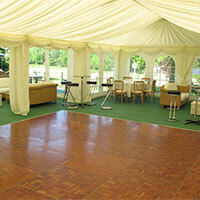 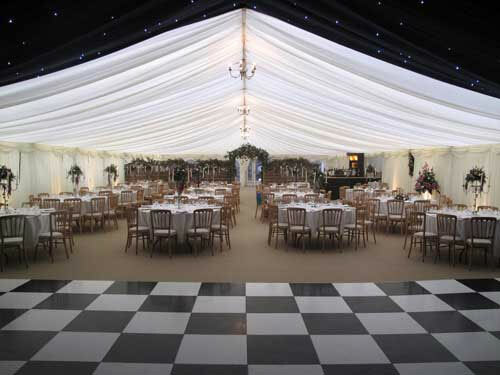 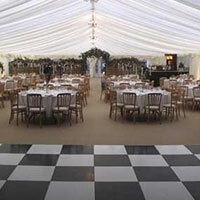 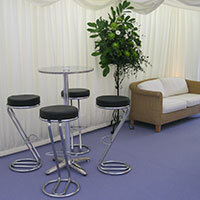 We can fit dance floors to suit the layout of your marquee and accommodate any number of guests. 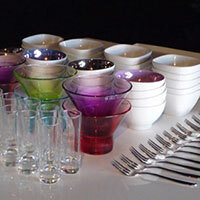 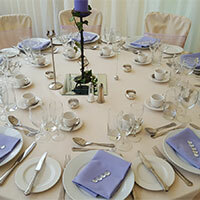 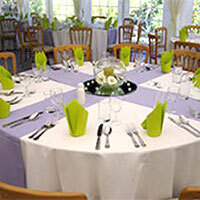 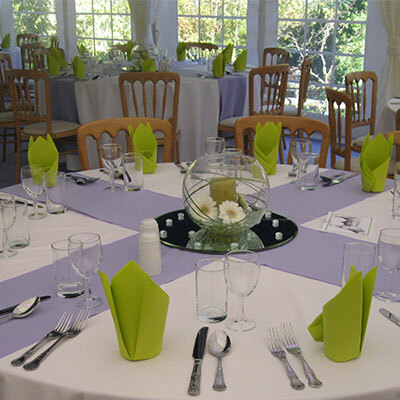 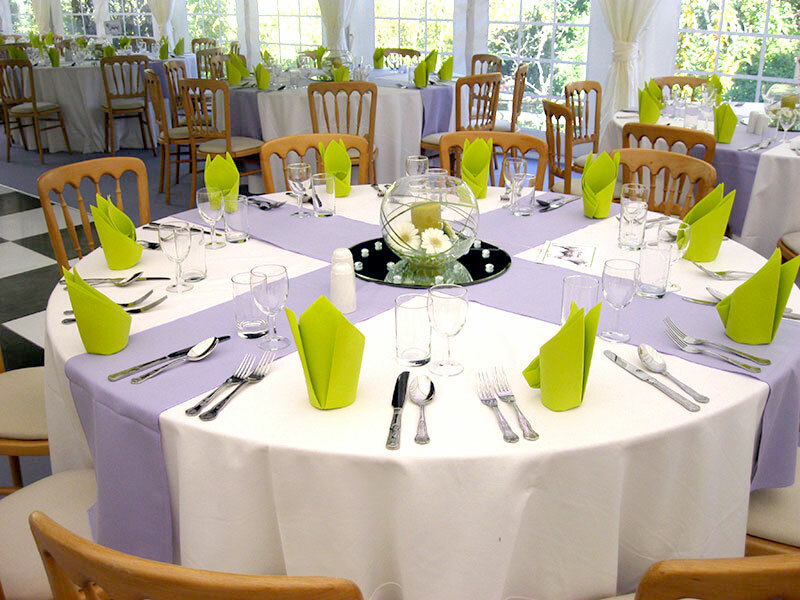 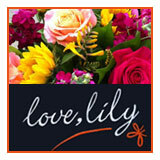 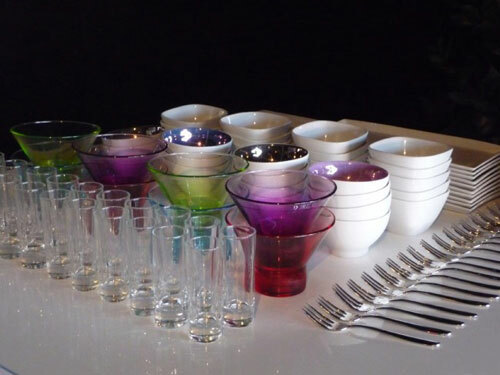 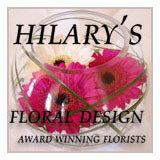 Compliment your own individual style or theme with high quality, beautiful crockery, glassware and table linen. 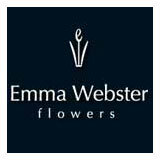 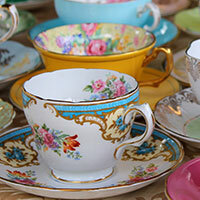 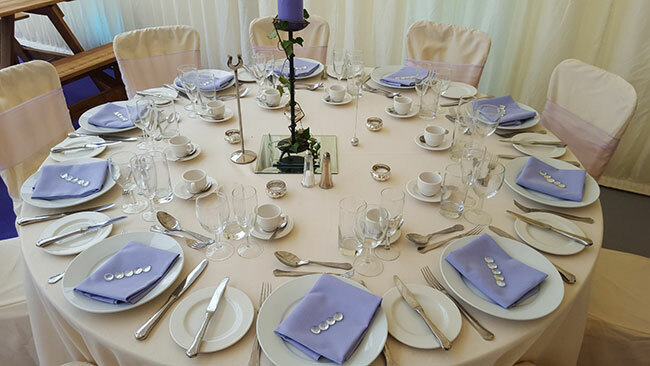 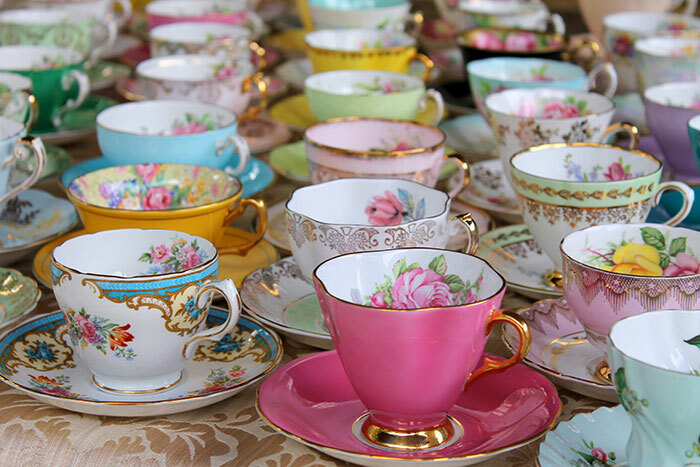 We can put you in touch with our useful contacts for classic, contemporary and even vintage crockery, china and glass hire for weddings and events. 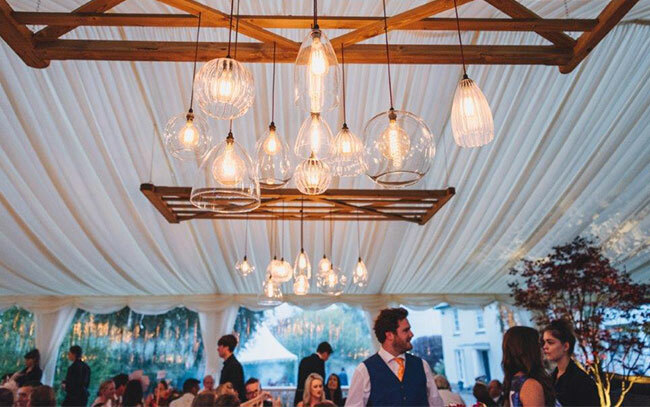 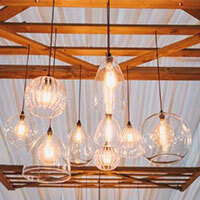 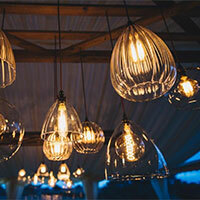 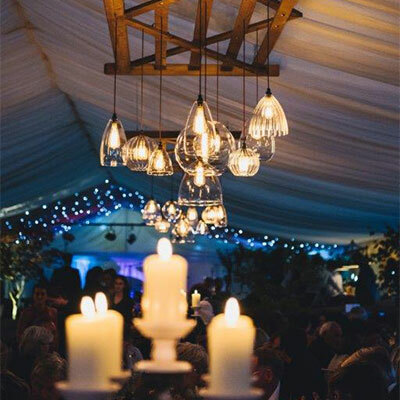 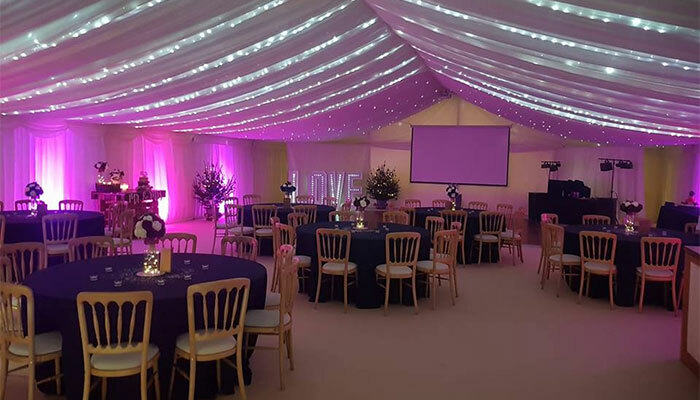 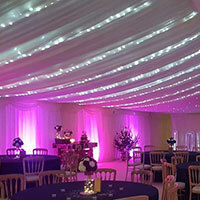 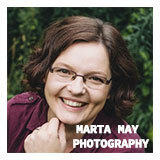 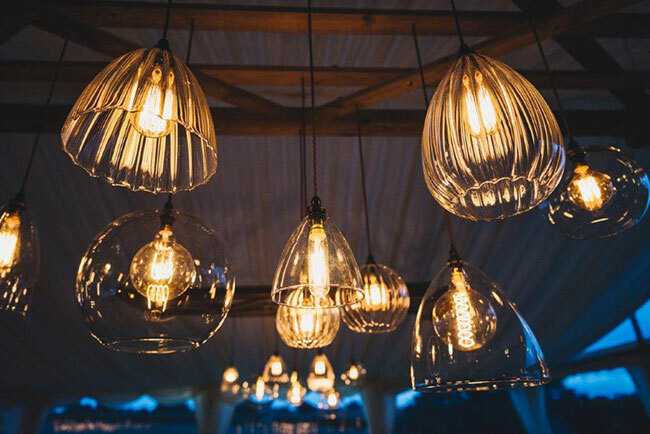 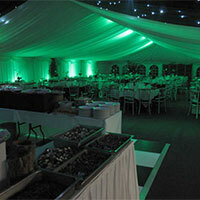 Monnow Marquees are experts at lighting for both indoor and outdoor events. 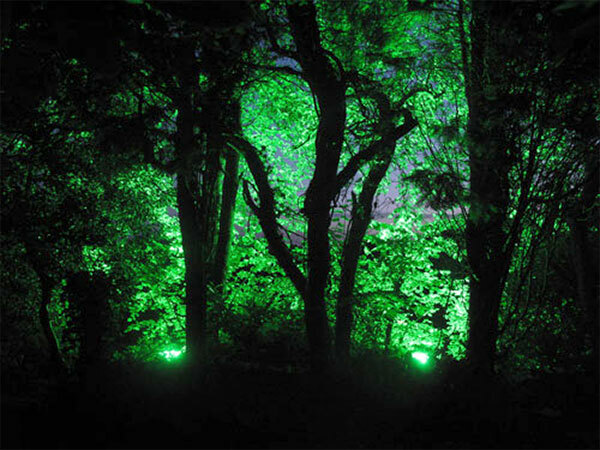 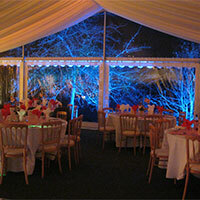 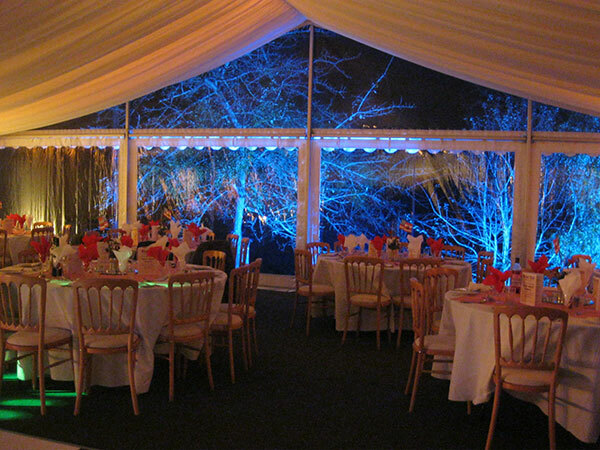 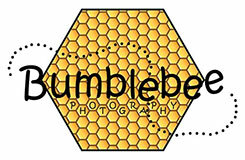 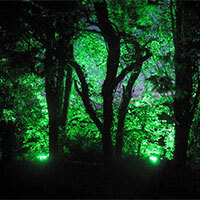 We can light your marquee with special effect lighting for entrances, gardens, dance floors, focal points and woodlands. 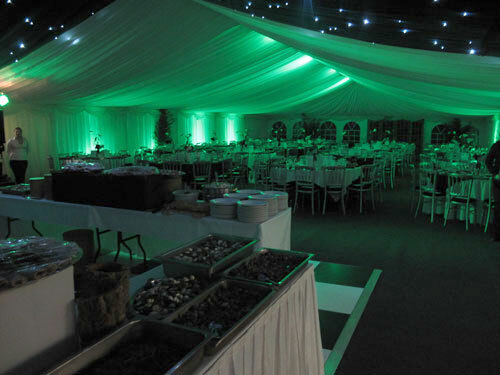 Illuminated walkways and car park areas will be safer for your guests as well as providing a 'wow' factor for your evening wedding reception or party. 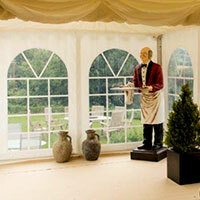 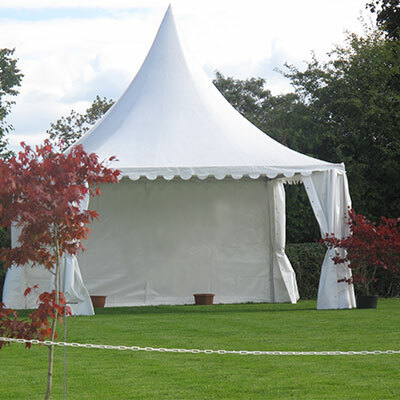 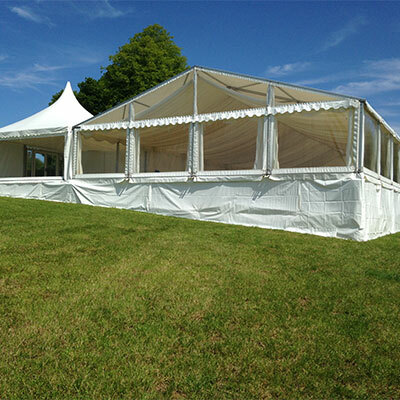 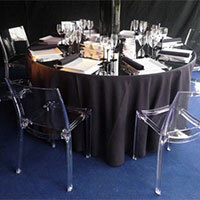 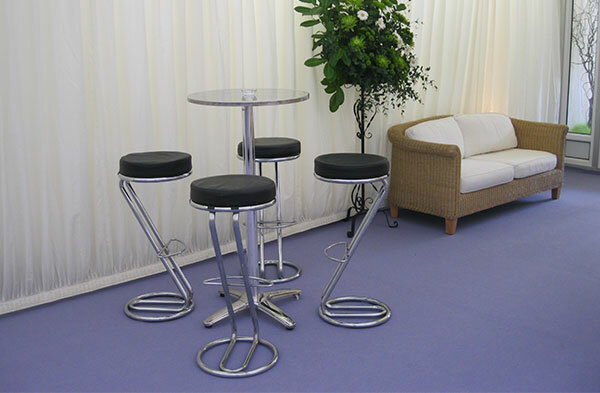 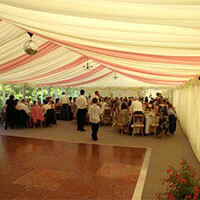 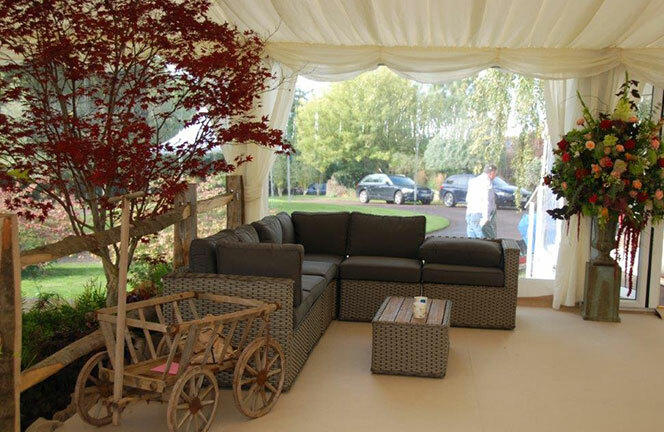 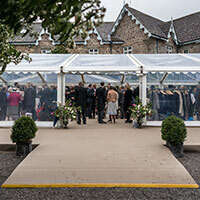 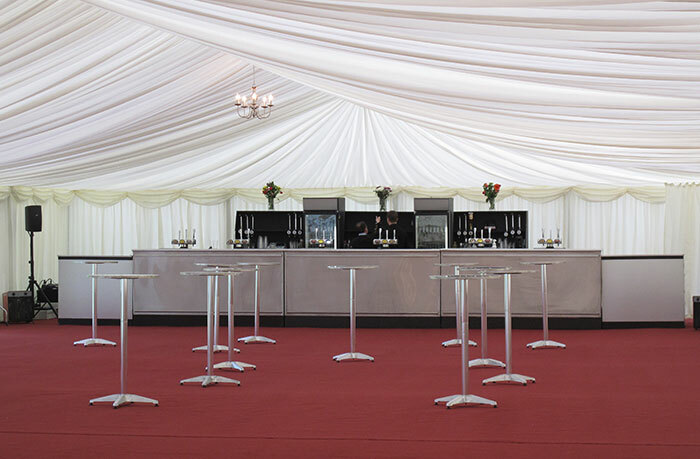 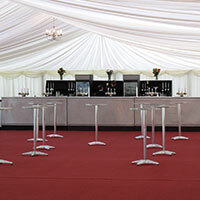 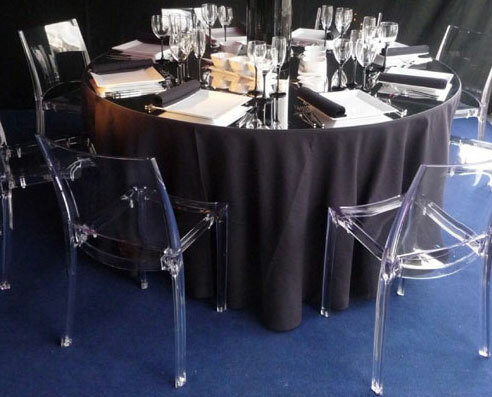 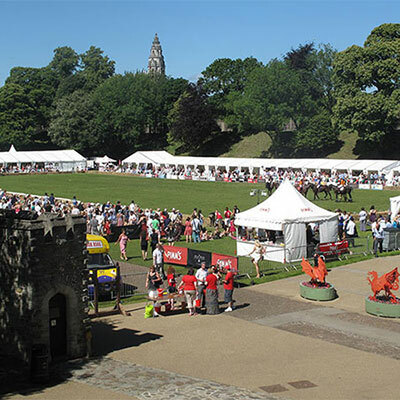 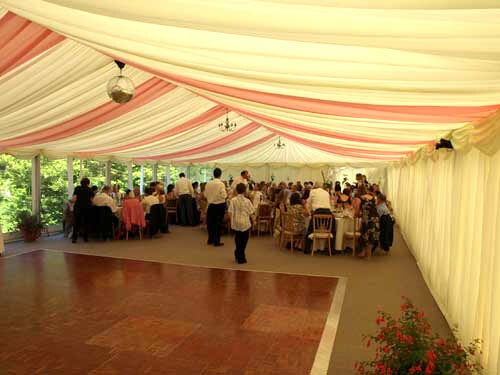 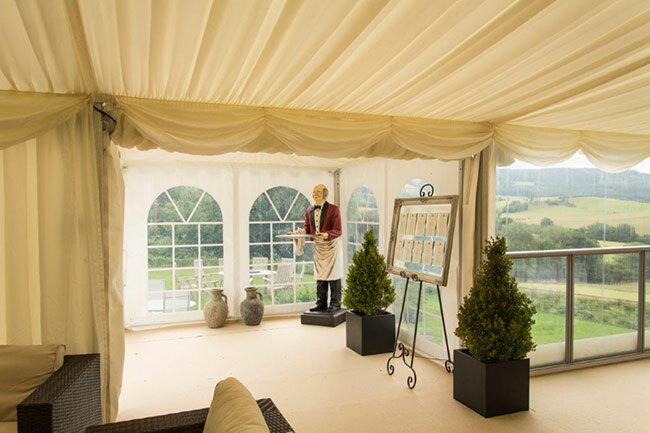 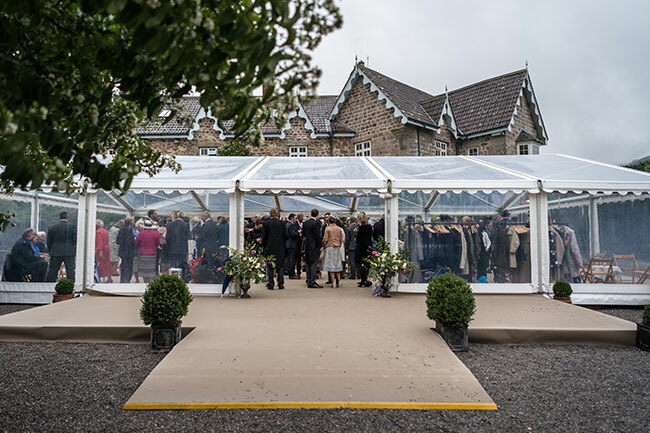 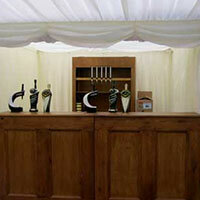 Monnow Marquees can provide occasional seating for formal or informal parties, corporate events and trade shows. 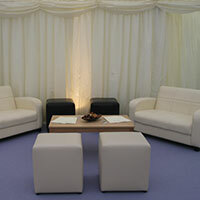 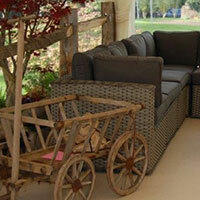 Reception areas can be furnished with comfortable sofas, coffee tables and reception desks. 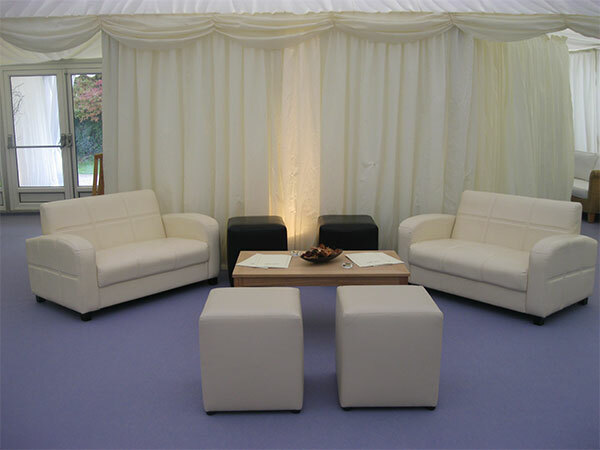 Quiet seating areas are ideal conversation corners and can also provide a comfortable area for older relatives and children. 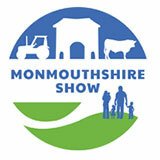 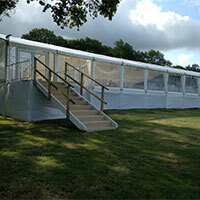 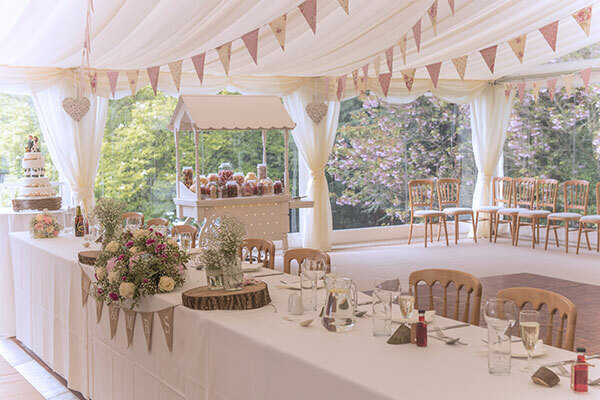 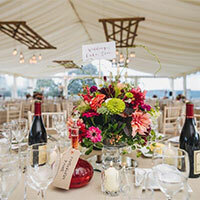 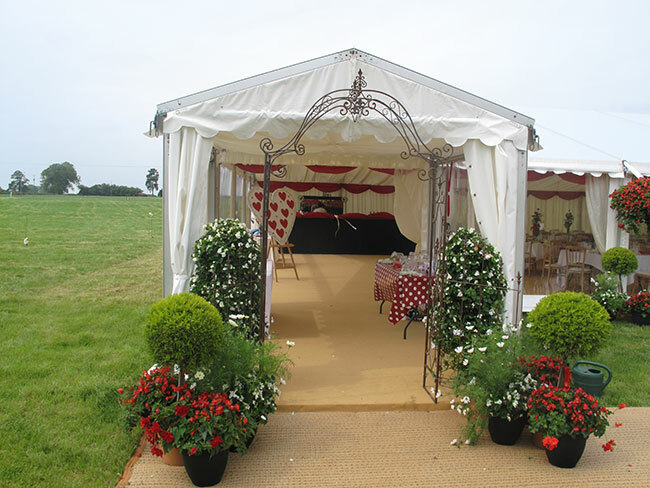 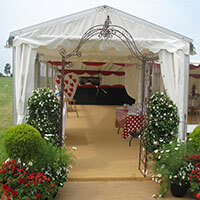 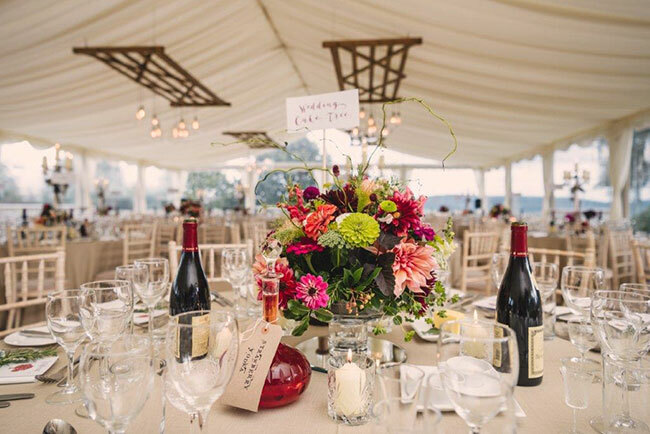 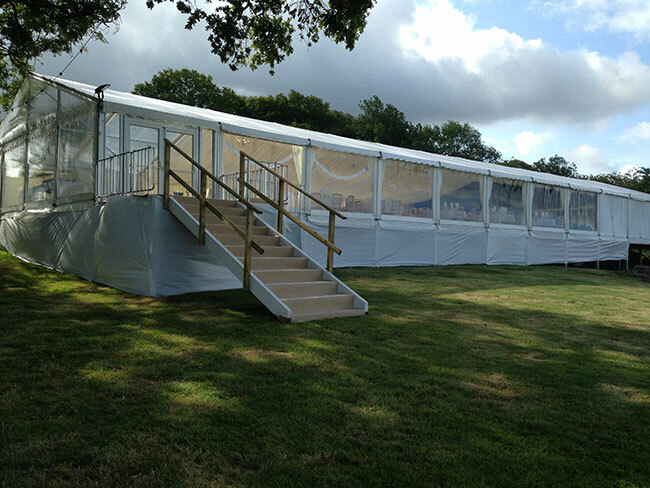 Monnow Marquees pride themselves in making sure their marquees have a welcoming and accessible entrance for all. 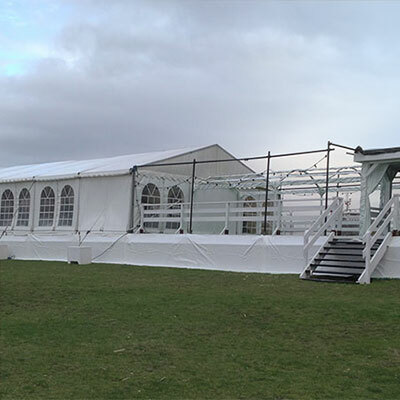 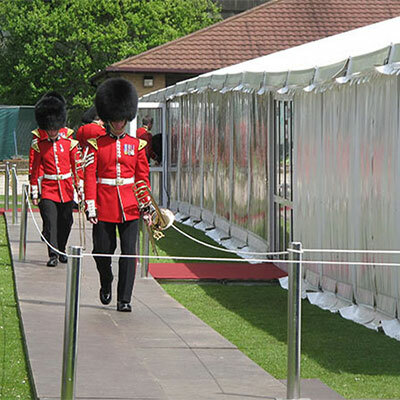 Safety is a top priority so wherever your marquee is located the team will ensure your guests have easy access and exits. 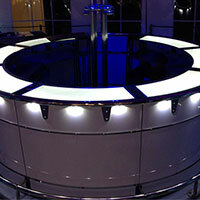 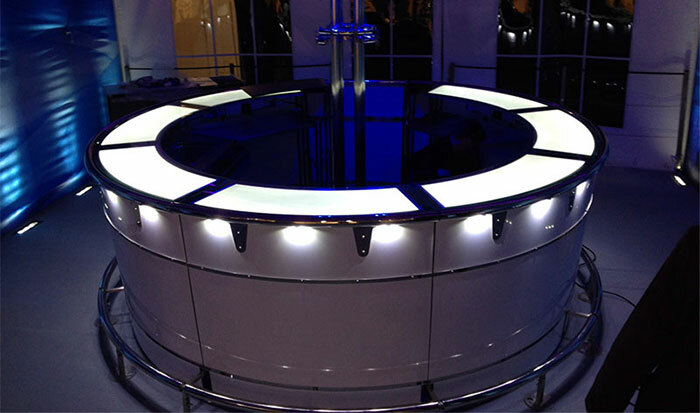 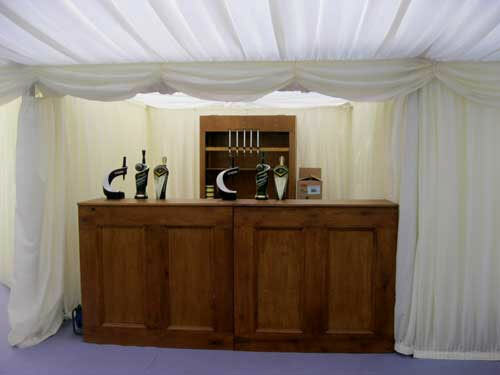 The choices of bar styles for marquee events range from sophisticated night-club and cocktail style bars to more traditional wooden bar facades. 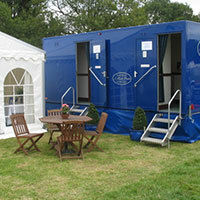 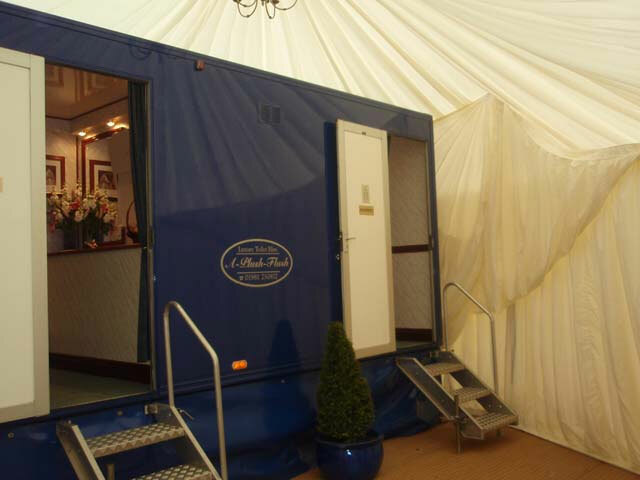 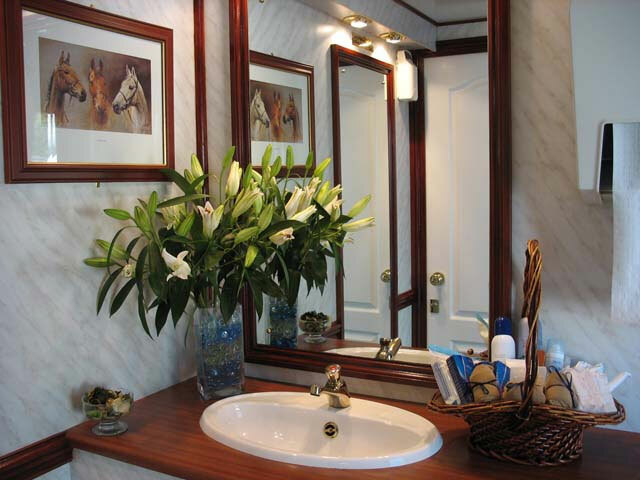 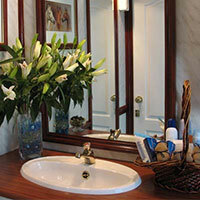 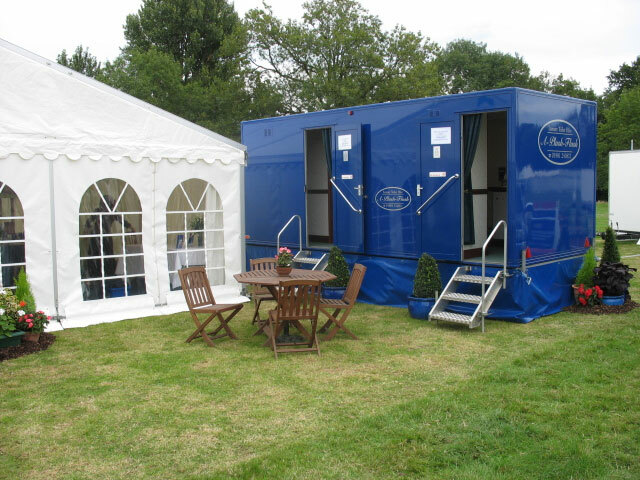 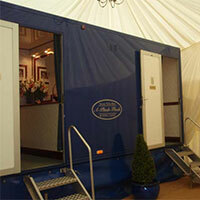 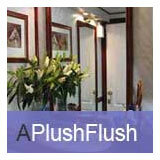 Spotless loos for your marquee are essential for all events and we know the best people in the WC business!